Product prices and availability are accurate as of 2019-04-15 06:59:49 UTC and are subject to change. Any price and availability information displayed on http://www.amazon.com/ at the time of purchase will apply to the purchase of this product. Are you worried that your outdoor sofa will be exposed to the sun and rain? 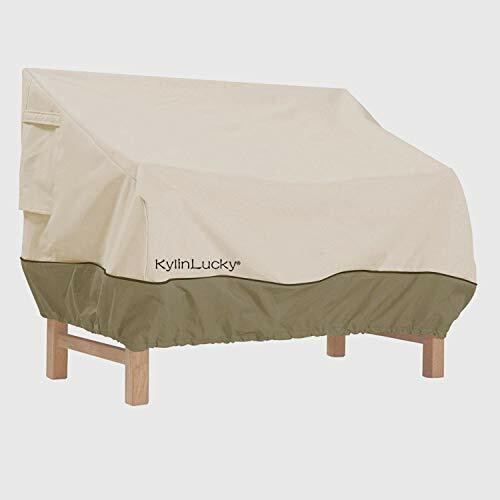 Don't worry.KylinLucky patio sofa cover will sofa this problem.Made from durable 600D polyester with a water repellent and resistant PVC lining, the cover helps to protect against wind, rain and frost as well as dirt, dust, bird droppings, tree sap and general unwanted debris. Air vents reduce inside condensation and wind lofting. Padded handles for easy fitting and removal. 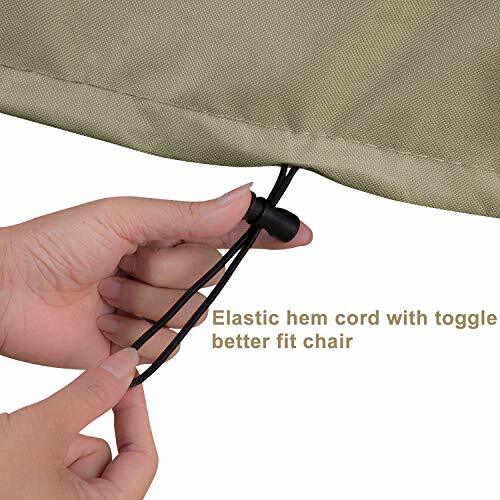 Elastic hem cord with toggles allows adjustment for a tight custom fit. 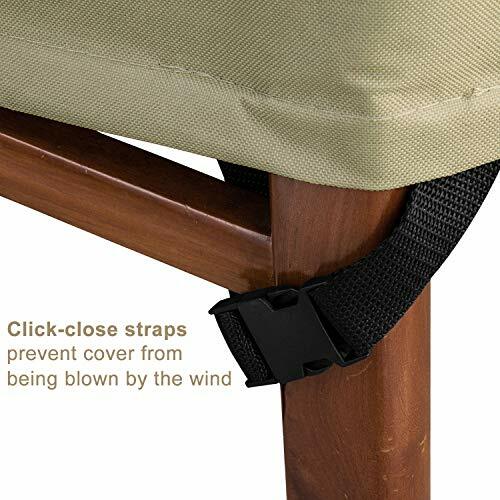 Click-close straps snap over legs to secure cover on the windiest days. Elegant fabric top with protective water-repellent and resistant laminated backing and protective dark splash guard skirt. So click on to ADD to cart without hesitate.And you could get what you want! 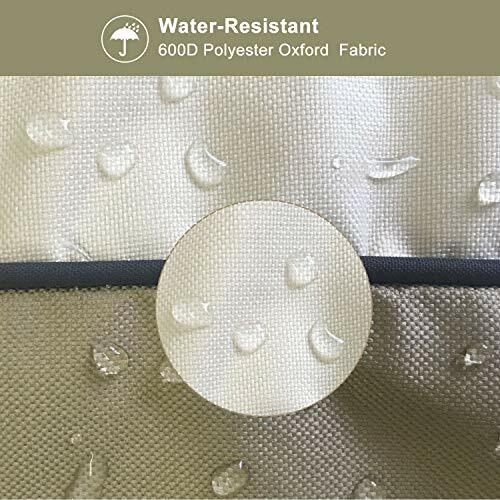 Premium Quality: High quality 600D polyester oxford water-resistant top fabric with an added UV-stabilized coating and waterproof undercoating to protect your outdoor sofa from natural damage. the thick water resistant undercoating and water repellent coating keep your patio lounge chair covers dry and clean no matter what the weather.Durable to use and won't crack in the cold winter. 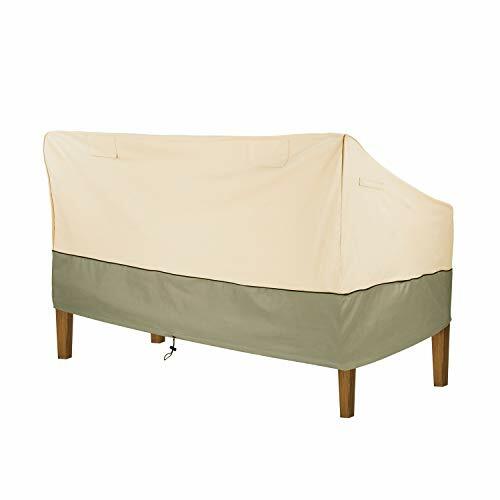 Universal Size - Prefer for benches, loveseats and outdoor garden, yard & patio sofas of different styles and brands.Fits up to 59" long x 41" deep x 30" high Anti Vents &Pad Handles:Air vents reduce inside condensation and avoid cushion wetting.Preventing wind from entering the cover and make it bulged.Sturdy and well-built padded handles for easy fitting and removal. Effective Protection- .In bad weather, including storms, blizzards, rain, sun, windy weather, it provides strong protection for your chair while preventing dust and dirt from entering the chair outdoors.